Police officers discovered the body of 45-year-old Jessica Purslow inside a self-storage unit after being alerted by a caller around midnight. 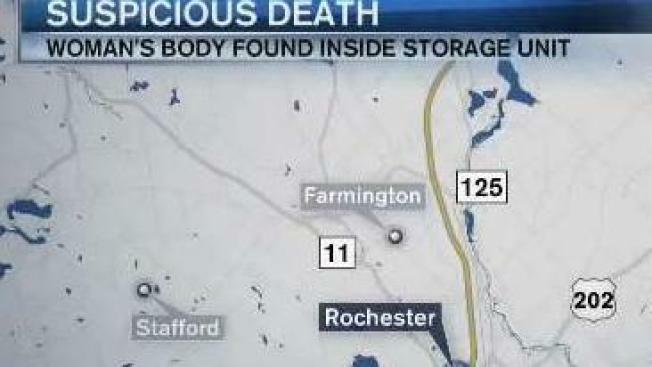 New Hampshire's Attorney General and Rochester police are investigating after a woman was found dead in a storage unit. According to the attorney general's office, police received a call reporting an open storage unit at Rochester Self Storage on South Main Street in Rochester, New Hampshire around midnight Saturday night. When police arrived, they found Jessica Purslow, 45, dead inside the unit. An autopsy to determine Purslow's exact cause and manner of death is expected Sunday. Police ask anyone who was in the area of the Rochester Self Storage this weekend or who has any information regarding the incident to contact Detective Pat Emerson at the Rochester Police Department at 603-330-7128.